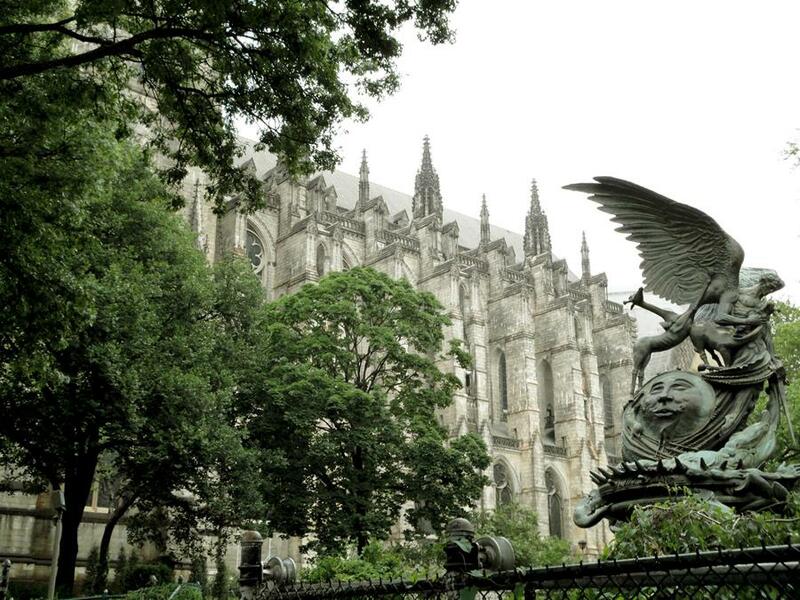 The Cathedral of St. John the Divine is the cathedral of the Episcopal Diocese of New York. It is remarkable not only for being one of the largest churches in the world, but also for being still unfinished. 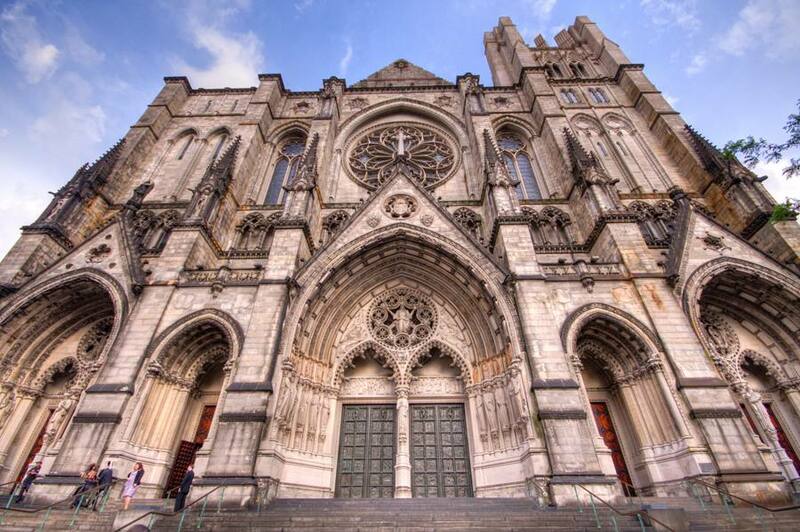 St. John the Divine sits in New York City on Amsterdam Avenue in Manhattan’s Morningside Heights neighborhood. Construction first began in 1892, when its original design was in the Byzantine Revival-Romanesque Revival styles; the plan was changed after 1909 to a Gothic Revival design. The cathedral was (and is still being) constructed using traditional Gothic engineering, where blocks of granite and limestone are carved by master masons and apprentices. It took nearly 20 years for just the choir and vaulted dome crossing to be constructed, and then the turmoil of World War I and the Great Depression delayed construction again. Finally St. John the Divine opened for services in the nave on December 6, 1941 — one day before the bombing of Pearl Harbor. With the interruption of World War II and various financial struggles for the diocese, work did not resume on the cathedral until 1979, and has been ongoing since then until December 2001, when a large fire required repairs. The cathedral reopened for services — and more construction — in November 2008.